I made a big mistake this morning... I took a moment to read the Facebook page of an organization I have been trying to support. It is easy to step back and say, we are going to have an event and give the money to charity, but it is quite another thing to actually interact with that charity or organization that is doing some good. Let me back up a bit. A few months ago, we started working with some organizations to do some pretty unique things we thought. We wanted to get a lot of people together and have some fun. I didn't think we could or should do something like that without it having some sort of positive component. If we are going to get wild, let's get wild for good. The economy this year has been horrible. People have been struggling and when the economy struggles, donations to non-profits go down. People begin to worry about how they are going to get to and from work, how they are going to pay for college or medical expenses and so on. When that is the case, they stop thinking about what they can do for others and do the airplane thing, which is make sure they have oxygen before helping others. It is all well and good to say that we want to help others but it is quite another to actually SEE it and to think about what the results are going to be. That is where I messed up. I took a look at the Facebook page of the organization that we are trying to support with Greenville Ink and I had to take a moment to cry. For those of you who do not know me in person, I am a big dude, scruffy and dirty, but I melt like a child when I see someone in need. There is a stream of consciousness thing that I do when see something that frustrates me. I think about what led to that thing and I think about what the results will be. I think about what could have been done to avoid it. What got me was a post that school was going to be cancelled because of flooding issues in the classroom. I took a moment to let that sink in. School on Nov. 27 was cancelled because the classroom was flooding. This is a school where working parents drop their children off for education and care while they head to work. For those who cannot afford it, this school, provides scholarships and partial scholarships and on November 27, they had to cancel classes. That means not only were there no classes, but working people forced to find other means to take care of their children. Someone, somewhere had to stay home or get someone to babysit. The school was flooded. So, whether or not you believe me when I say I want to help them. Whether or not you think EQGreenville is a scam or some sort of thing, that is fine. My concern is school was cancelled on Nov. 27 because it was flooded and we can help. Skip us. Fine. 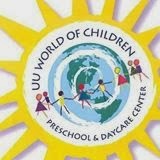 Go to UU World of Children and make a donation. Come to Greenville Ink and make a donation to another organization that these artists support, like Autism Speaks or Wounded Warrior...EQGreenville will find other ways to make money to support the things that we do. When people ask why I do what I do, it is because they cancelled school on Nov. 27 because the school was flooded, go to their Facebook page and see for yourself.